Snack and beverage demand in North America propels the global giant's second-quarter results, creating opportunities for further earnings momentum in the back half of the year. The fact that most of PepsiCo's (NASDAQ:PEP) business is concentrated in North America would likely surprise many a shareholder. But as of late, that concentration is fueling the snack and beverage giant's positive results. The company's second-quarter earnings report, released Thursday, revealed both higher organic growth and improved diluted earnings per share. Below, we review how the geography of PepsiCo's sales has impacted earnings, as well as other significant numbers and highlights from the company's quarterly filing. Data source: PepsiCo 8-K filing, July 7, 2016. A net revenue decline of 3.1% resulted from foreign currency translation effects, as well as lost revenue worth 2.5 percentage points from deconsolidated Venezuela operations. PepsiCo's organic revenue growth, which is adjusted for the effects of currency translation, as well as acquisitions, divestitures, and deconsolidations, hit 3.3% for the quarter. Removing Venezuela from continuing operations turns out to have been a smart move on the part of PepsiCo's management. The 2.5% loss in sales will eventually be recaptured by growth in other areas. More pertinently, Venezuela has devolved into further economic chaos since PepsiCo's third-quarter 2015 deconsolidation, allowing the company to dodge further bottom-line damage. As in the first quarter of 2016, PepsiCo improved its gross margin. The second-quarter 2016 gross margin of 55.6% represents an increase of roughly 1% over the prior-year quarter. As has become apparent over the last four quarters, PepsiCo's performance is riding in large part on the results of North American operations. Since the company tinkered with its segment reporting in the third quarter of 2015, investors have been able to view the complete North American snacks and beverages businesses through three segments: Frito-Lay North America, Quaker Foods North America, and North America Beverages. The increased visibility throws into relief the performance of this geographical region against the entirety of PepsiCo's globalized business. Each of these segments recorded revenue and operating profit gains versus Q2 2015. Together the three segments increased revenue by 2%, but more importantly, their combined operating profit (before allocation of corporate overhead) jumped by 7%. The total combined operating profit in North America of $2.1 billion in the second quarter is equivalent to 69% of total company operating profit (again, before corporate overhead expenses). As long as the greenback continues to flex its muscle against major international currencies, North American sales, the majority of which occur in the U.S., will remain an important source of growth. What PepsiCo loses in foreign currency translation (for the 40% of revenue derived outside of North America), it gains in the form of U.S. consumers, who have proven quite responsive to the company's cross-marketing of snack and beverage brands. PepsiCo's remaining operating segments continued in a lackluster trend, again hampered by the strong U.S. dollar. Latin American revenue declined 32%; revenue from Europe Sub-Saharan Africa dropped 4%; and Asia, Middle East, and North Africa saw a 1.5% decline in its top line. 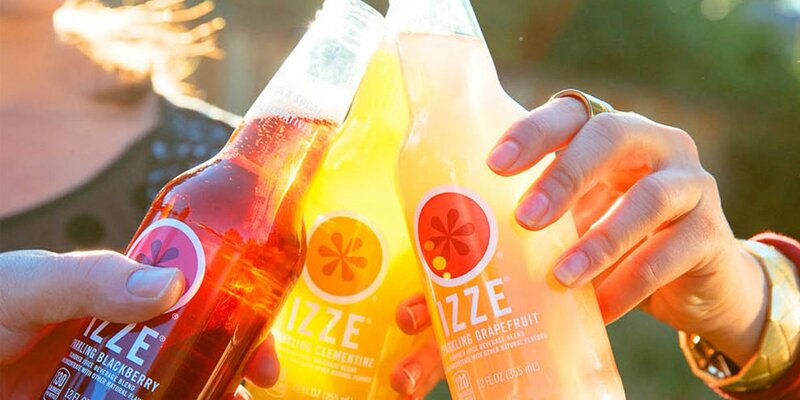 Brands like Izze are helping PepsiCo engage North American customers. Image source: Izze, via Twitter. In what continues to be an incredibly volatile global macro environment, we are pleased with our results for the second quarter. While reported net revenue performance was negatively impacted by foreign exchange translation and the deconsolidation of our Venezuelan operations, we delivered balanced volume growth and positive price/mix. ... our focus on driving greater efficiency throughout our operations contributed significantly to attractive margin expansion while we continued to invest in our business. PepsiCo noted in its report that it sees muted inflation in raw commodity costs this year. It also pointed to lower pension expense in 2016 as a net benefit to earnings. Finally, the consumer goods behemoth continues to anticipate full-year organic revenue growth of 4%. These factors, combined with the $1 billion in productivity savings mentioned above, and the relative momentum in North America, allowed management to make a slight upward revision of $0.05 in projected diluted earnings per share for the full year, from $4.66 to $4.71. Reading between the lines, it's possible that earnings could also exceed the revised $4.71 yearlong target. That's because so far this year, organic revenue growth has averaged 3.4%. To hit its full-year organic revenue growth target of 4%, PepsiCo would need to show some top-line acceleration in the last two quarters of the year, to a minimum of 4.6%. Combine that with an improving gross margin trend over the last few quarters, and the potential for additional momentum in earnings is certainly present. That potential will firm up greatly if regions outside North America find some momentum of their own in the second half of 2016.